Yes I would recommend this vacuum works well for easy quick cleaning.Runs.well on rugs also hardwood flooring.attachments also nice for cleaning furniture. 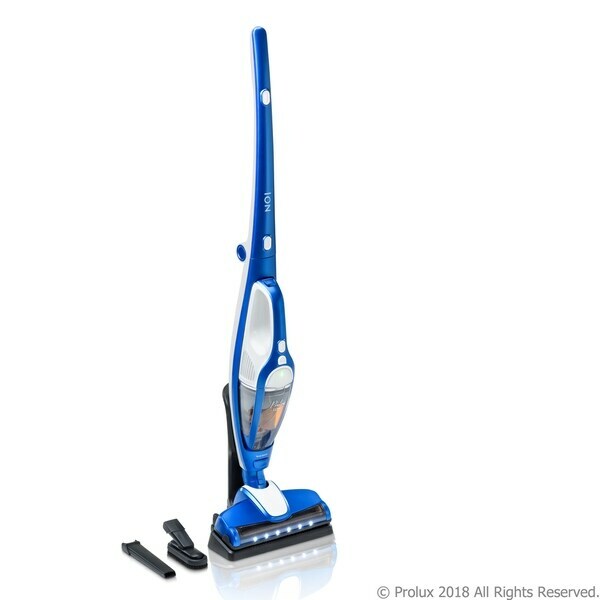 The New Prolux Ion Bagless Battery Powered Stick Vac is the lightweight battery powered alternative for your cleaning needs! This highly compact, powerful, and easy to store vacuum frees you from the limitations of the standard corded vacuums. A bagless design also adds to the ease of cleaning your home. The 2 in 1 Prolux Ion provides a wide range of options by allowing you the upright setting to vacuum your hardwood floors and carpet along with the detachable handheld version which is perfect for cleaning your vehicle and other hard to reach areas that other vacuums are just not capable of. This high end vacuum is designed with you in mind and has been built to last for many years to come without breaking the bank or your back! Lightweight - The Prolux Ion Stick Vac does not sacrifice mobility for power. Weighing a mere 6 pounds, this vacuum gives you the versitility that your other vacuums lack. Combined with the lightweight of this vacuum is a powerful DC 80 watt high air flow motor which will take care of your deep cleaning needs. Battery Powered - No more fumbling with those pesky cords! The powerful and long lasting 24V NI-MH 1500aMh battery provides the Ion with up to 24 minutes cleaning power allowing you to move unrestrained through your home or vehicle.Bagless - You wil NEVER have to use bags again! The Micron Filter inside will leave you assured that the air coming out is fresh and clean. Variety - The Dual Mode allows you to use it for all your floor cleaning as well as handheld cleaning. Included the the Prolux Ion is the 3 in 1 accessory tool which tackles all of your dusting, upholstery, and crevice cleaning jobs with ease. Between the Multi-surface floor tool and 3 in 1 accessory tool, the Prolux Ion Stick Vac can easily clean almost any surface. Very easy to use, and works great! I purchased this vacuum because I was getting tired of lugging my vacuum up and down the stairs every time I had to clean, I wanted a vacuum that I could keep on the main floor, so I could keep our other one upstairs. I also wanted something that was easy to maneuver and easy to clean my hardwood, tile, and rugs. I let the battery charge, and as soon as it was charged, I turned it on and started vacuuming. I was instantly impressed with the bright headlight, it made it really easy to see any dust on my floors, so I was confident I didn't miss a spot. I was a little skeptical of the suction power as it is a smaller vacuum, but I never once found myself having to go over any spots multiple times. My favorite part about this vacuum is the fact that I don't have to switch to different attachments in the middle of cleaning when I go from my rugs to my tile or hardwood floors, this vacuum cleans all of these surfaces no problem, which I think cuts down my cleaning time. I had been looking for a lightweight vacuum for a small lake house, and this one fits the bill. The bonus factor is that I can detach the handheld part and vacuum my car. I love that is battery operated and not having a cord. It is very easy to assemble and operate for a senior citizen. The suction is good enough for floors and area rugs. I do clean it out after every use. We purchased this for quick cleanups during the week. For a cordless, its powerful suction does really well on hard floors. The brush is not mechanized, but it does well cleaning small area rugs. The light on the front will show every little hair and piece of dirt/dust missed, so be prepared. This is good for smaller rooms as the cleaning head is small and doesn't cover a lot of real estate in one sweep. It fits well underneath tables and such. As for emptying, not as easy as you would like. It is messy to empty (but most bagless vacuums are, no matter how they're designed). 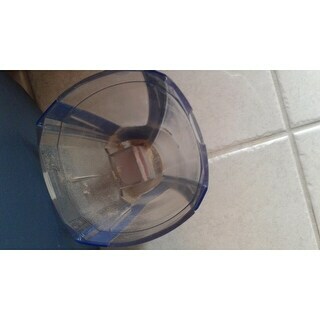 There is a removable filter - its pricey to replace, but I discovered that, since its manufactured so well, you can actually extend the life of the filter by washing it. The handheld part of the vacuum (the motorized part) comes off for quick clean-ups of spills, etc. and is handy, especially with the attachments. The charge lasts a long time - ours generally last about an hour after a full recharge. We're really pleased with this stick vac. Excellent vacuum. Good on floors and carpets. Easy to clean. Very sturdy and powerful for a cordless vac. I gave only 4 stars because of the cleanup. Cleaning out the basket is pretty messy. There are several parts you have to pull out and clean. Then it is so dusty that I wash it every time I empty it. This means it has to dry out before the next use. Also, be warned there are no replacement parts like filter, filter basket, etc. Prolux has never returned any of my calls or emails about this. I've tried for the past six months to contact them. This vacuum is so easy to handle. It is very powerful and the power hold stays good for me to finish my house. I was really disappointed in this vacuum. It does not pick up well when vacuuming on carpet, when you push forward it looks like it's picking everything up but when you pull it back towards you everything you think you vacuumed up is still there. The hand held vac works pretty good but you have to keep stopping to empty out the dirt cup. It would have been cheaper to just buy a hand vac for half of what this costs. I definitely would NOT RECCOMEND this item to anyone. Love this vacuum light weight , picks up, not for heavy duty cleaning, easy to handle with one hand. emptying the collection cup is messy but no bags Otherwise its a five! 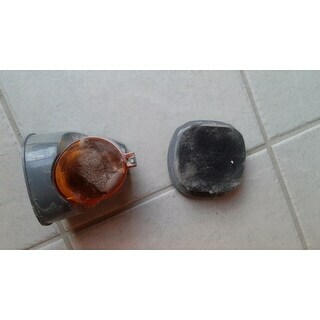 Only used the vacuum three times. The third time the brush quit rotating and I had to return the vacuum. "Where do I get new filtets?" "Can the batteries be replaced when they can no longer be recharged?" Hello 67camaro, this item does offer a replacement battery from the manufacturer. Please feel free to contact us again with any further questions. Thank you for shopping with us! I was given this product as a gift. I liked it and decided to give one as a gift. "What is the voltage and wattage of the battery?" Hello Eugene R., this item uses 24 volts and uses an 8 watt battery. Thank you for shopping with us. "ITEM#: 17731359 , On the vacuum can you tell me the the voltage is it 10 or 18 volts"
Hello jbamber, this item features 24 volts. Thank you for shopping with us. "How does the vacuum recharge? Does it sit in a stand or holder of some kind? Is there a picture of that?" Hello lawman, the vacuum recharges in its stand/base. Unfortunately we do not have additional photos at this time. Thank you for shopping with us.